5678 Dance Magazine - Social dance magazine. @URL Internet Dance Resources - Dance resource compilation. Agnes de Mille Dances - De Mille Productions was founded by Jonathan Prude in 1993 to promote the performance of Agnes de Mille's choreographic works. This webpage has been developed to facilitate stagings of dance works by Agnes de Mille. The ballets are owned by Jonathan Prude and administered by de Mille Productions under the executive directorship of Anderson Ferrell. Representation is through Fitelson, Lasky, Asland & Couture. Also see Wikipedia entry on Agnes de Mille. Alicia Alonso - The work of Alonso as dancer, choreographer, professor and figure of the Ibero American culture is prfesented here. Prima Ballerina Assoluta and Director of the National Ballet of Cuba, Alonso is one of the most outstanding figures of classic ballet in the Iberian-American environment. An American Ballroom Companion: Dance Instruction Manuals, 1490-1920 - Presents a collection of over two hundred social dance manuals at the Library of Congress. The list begins with a rare late fifteenth-century source, Les basses danses de Marguerite d'Autriche (c.1490) and ends with Ella Gardner's 1929 Public dance halls, their regulation and place in the recreation of adolescents. Answers4Dancers - Dance employment and career information. Artifact: Dance - A directory of choreography and dance resources. Ballet Alert - Devoted to ballet, especially classical ballet. Provides information about performances, dancers, companies, and ballets. Ballet.co - All things ballet and dance in the UK - and beyond. Ballet Companies - Gateway to the ballet and dance world. 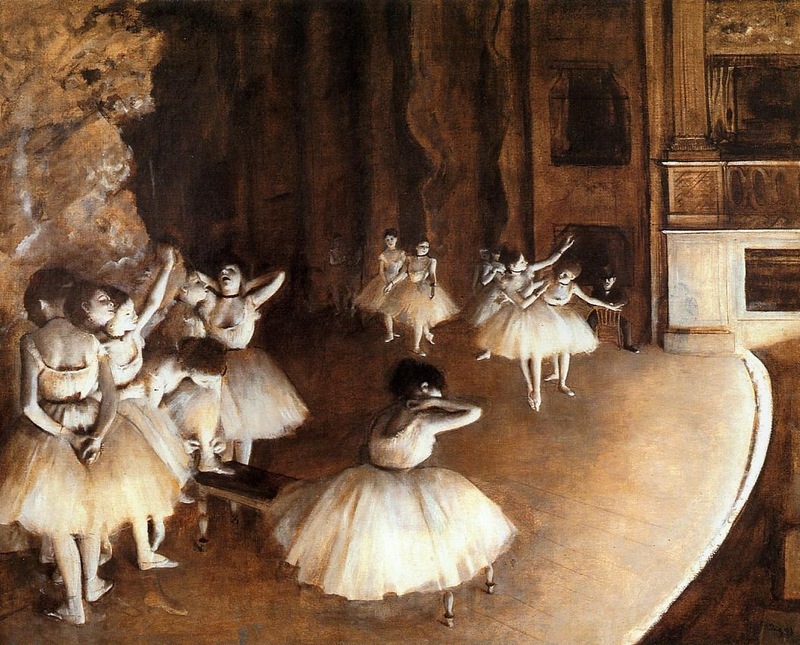 On this site you'll find over 1800 links to ballet and dance companies all over the world. Ballet Nacional de Cuba - Cuban national ballet company. Also see Wikipedia article. Ballet Review - A quarterly, international, color publication which covers all aspects of dance. Birmingham Royal Ballet - UK dance company presents new and heritage works alongside full-length popular classics and major new seasonal ballets. Bolshoi Theatre - Russian ballet dance company. Brooklyn Studios for Dance (BkSD) - Since opening its doors in 2015, BkSD has offered a variety of classes, workshops, presentations and performances to the professional and non-professional community. criticaldance - Moderated bulletin board, reviews, features, interviews, and links to select dance pages. Culturebot - Devoted to critical thought about experimental performance. Cunningham Dance - Home page of Merce Cunningham and the Merce Cunningham Foundation. Culturekiosque: Dance Magazine - Dance headlines, news, interviews, reviews, exhibitions, calendar, features, and more. Cyber Dance: Ballet on the Net - A collection of over 3,500 links to classical ballet and modern dance resources on the Internet. Dance Current, The - A magazine that takes the reader inside the art and culture of Canadian dance. Dance Enthusiast, The - Dance news and stories. Dance Europe - Global dance coverage. Dance Expression - UK dance magazine covering dance events with information, reviews, pictures, and profiles of leading dance personalities. Dance Links - Dance Links collects sites relating to the performing art, as opposed to the social art, of dance: ballet companies, dance companies, dance presenters, dance newsgroups, dance publications, dance FAQs, dance organizations, university dance, funding resources, dance schools, dancers. Dance Magazine - Voice of the dance community for 75 years. Dance Resources Index - Thousands of dance related resources. Dance Spirit - A resource for dancers, choreographers and teachers. Dance Teacher Magazine - U.S. nationwide magazine addressed to dance teachers of all disciplines. Dance Theatre of Harlem - Founded in 1969 by Arthur Mitchell and Karel Shook. DanceLessons - Dancing lessons for kids and teens, classes for children and adults, beginners, intermediate level, advanced level. Choreography for students and teachers. Diavolo - Founded in 1992 by Jacques Heim, Diavolo has performed for hundreds of thousands of concertgoers throughout the U.S, Europe, Asia, and Latin America. Based in Los Angeles. El-Funoun Palestinian Popular Dance Troupe - A leading Palestinian dance company in Palestine. Since its inception, El-Funoun has aimed at expressing the spirit of Arab-Palestinian folklore and contemporary culture through unique combinations of traditional and stylized dance and music. The Troupe's repertoire comprises folkloric dance forms, called 'dabke', in addition to more elaborate choreographed forms that embody El-Funoun's own unique vision of Palestinian dance. El-Funoun is widely recognized as the cultural entity that has played the most significant role in reviving and reinvigorating Palestinian dance and music folklore. For Ballet Lovers Only - Offers a selection of Marc Haegeman's ballet photography and writing. Free to Dance - The PBS presents Free To Dance a three-part documentary that chronicles the crucial role that African-American choreographers and dancers have played in the development of modern dance as an American art form. Jacob's Pillow Dance - A dance center, school and performance space located in Becket, Massachusetts. The organization is known for the oldest internationally acclaimed summer dance festival in the United States. It's facility also includes a professional school and extensive archives as well as year-round community programs. Also see Wikipedia. Judith Lynne Hanna, Ph.D. - Hanna has published over 300 articles in scholarly journals in African studies, anthropology, art, black studies, dance, drama, education, gender, leisure and recreation, medicine, music, planning, political science, psychology, religion, semiotics, sexuality, therapy, and urban studies, in addition to newspaper and magazine articles for the general reader. Explores the relationship between dance and society in African villages and cities and American theaters, school playgrounds and classrooms as well as adult entertainment clubs and their communities. Lizz Gerring Dance Company - The company is noted for its close collaboration with contemporary visual artists and a longtime association with electronic music composer Michael J. Schumacher. The Company currently numbers eight dancers including Liz Gerring herself, and regularly presents performances in venues throughout New York City and beyond. London Dance - Dance in London - dance news, what's on listings, features, London dance directory, dance videos. Merce Cunningham - Archives, film and video, dancers and musicians, Cunningham bio, studio, repertory and more. Move for Change and the Brooklyn Culture Jam - A group founded by Actress/Dancer/teacher Kathleen Stansell. Its mission is to use dance and other movement-related performance art as a venue for social change. Brooklyn Culture Jammers is the name of the loose association that Dan Kinch and Kathleen came up with in order to create and promulgate theater, dance, music and spoken word pieces as part of promoting the Occupy Wall Street movement. New York Library for the Performing Arts - Research, exhibitions, public programs, online resources. New York City Ballet (NYCB) - One of the foremost dance companies in the world. Founded in 1948 by George Balanchine and Lincoln Kirstein. Jerome Robbins joined NYCB the following year and, with Balanchine, helped to build the astounding repertory and firmly establish the Company in New York. New York Live Arts - Founded in 2011 by a merger of the Bill T. Jones/Arnie Zane Dance Company and Dance Theater Workshop. New York Times: Dance - Dance news and reviews. Oberon's Grove - Open diary about dance and opera . Project Bandaloop - The dancers, climbers and riggers of Project Bandaloop, under the artistic direction of Amelia Rudolph, collaborate to create a blend of dance, sport, ritual, and environmental awareness. Exploring the boundaries of dance and performance, their work seeks to honor nature, community, and the human spirit through art. Inspired by the possibilities of climbing and rapelling, the choreography relies on aerial, vertical and horizontal movement to craft site-specific dances. The challenge of performing in a wide variety of venues, ranging from urban towers and skyscrapers to boulder fields and large granite cliffs, helps free both the dance and dance space from convention. The groups work marries modern dance and rock climbing, culture and nature, mortality and celebration. Rambert Dance Company - The oldest dance company in Britain, having been established in 1926. The Company tours throughout Britain annually, accompanied by its Associate Orchestra, London Musici. It also tours internationally, and has recently performed in Australia, New Zealand, China, Canada and Germany. Royal Ballet - Based at the Royal Opera House, Covent Garden, The Royal Ballet is Great Britain's most prestigious ballet company. Seeing Things - Tobi Tobias' weblog on dance. Voice of Dance - Begun initially as a vehicle for dance enthusiasts to voice their opinions and thoughts about dance, Voice of Dance has blossomed into a broader resource, providing bulletin boards to post reviews and ideas or to chat with dance celebrities, calendar listings for major dance companies around the world, review excerpts of dance performances, and the latest news from the arts world. Zaccho Dance Theatre - Creates and presents performance work that investigates dance as it relates to place. Artistic Director Joanna Haigood's creative work focuses on making dances that use natural, architectural and cultural environments as points of departure for movement exploration and narrative. Haigood's innovative work involves in-depth research into the history and the character of sites, often involving local communities in the creative process, and typically integrates aerial flight and suspension as ways of expanding performers' spatial and dynamic range. This webpage last updated on Monday, September 3, 2018 3:37 PM.